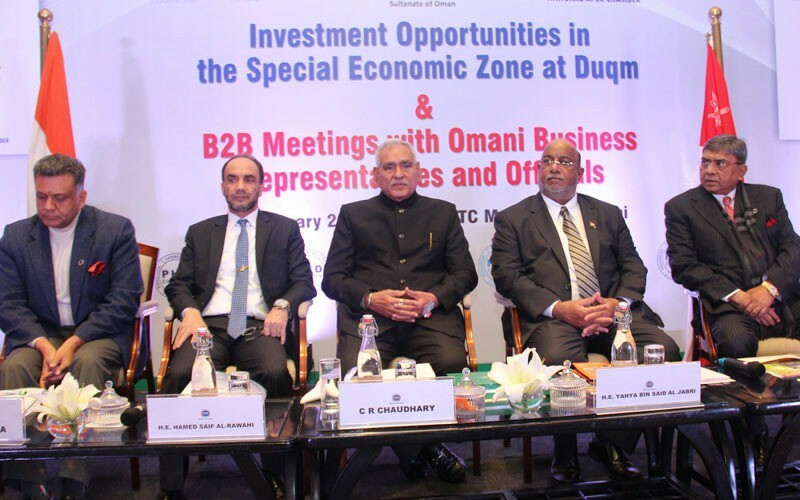 The 2-day Duqm promotional campaign in the Republic of India was launched today (Jan.22 2019) in New Delhi amid an official appreciation and interest of the Indian business community. C.R Chowdhury Indian State Minister of Commerce and Industry confirmed India's interest in boosting economic relations between the Sultanate and India, pointing to the trade exchange between the two countries and the Indian investments in the Sultanate. Speaking at the opening session of the "Invest in Duqm" seminar held in New Delhi today, he expressed the hope that the promotion will result in more economic partnerships between the two countries. Yahya bin Said al- Jabri, Chairman of the Board of Directors of the Special Economic Zone Authority in Duqm (SEZAD), expressed his appreciation for the efforts exerted by the competent authorities in the Sultanate and India to increase joint investments and improve economic relations between the two countries. For his part, Sheikh Hamad bin Saif al- Rawahi, Sultanate's Ambassador to the Republic of India, said that the Sultanate and India have enjoyed special trade and strategic relations for a very long time, adding that this campaign reflects the common desire to strengthen economic relations between the two countries. During the campaign, presentations were made by the Public Authority for Investment Promotion and Export Development (Ithraa)), SEZAD, Port Duqm Company, Oman Dry Dock Company and Oman Oil Company (OOC). A number of bilateral meetings were held between the presenters and representatives of the Indian companies.